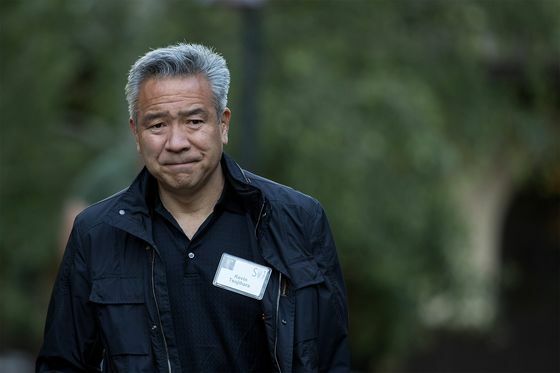 (Bloomberg) -- Warner Bros. Chief Executive Officer Kevin Tsujihara is leaving the studio over allegations that he had a sexual relationship with an actress he helped promote, adding to the number of Hollywood moguls toppled by scandal. Tsujihara’s ouster brings fresh upheaval to a business acquired by AT&T Inc. last year, underscoring the challenges of transforming itself from a telecom giant into a media conglomerate. John Stankey, head of the company’s WarnerMedia, announced Tsujihara’s departure on Monday, saying the disgraced executive put the company at risk. The move also means Time Warner’s executive leadership has been wholly transformed since AT&T acquired the business for $85 billion last year. In another change Monday, Bernadette Aulestia will be leaving as HBO’s president of global distribution. CNBC previously reported that she was stepping down. The company doesn’t have a successor to Tsujihara lined up yet, but WarnerMedia plans to announce temporary leadership for the division on Tuesday, Stankey said in a separate memo. The interim team is likely to include Toby Emmerich, chairman of the studio’s motion-pictures group; Peter Roth, television group president; and at least one other executive, according to a person familiar with the matter. Variety previously reported on the team’s makeup. AT&T plans to continue working with an outside law firm to complete an investigation into Tsujihara, with his cooperation.